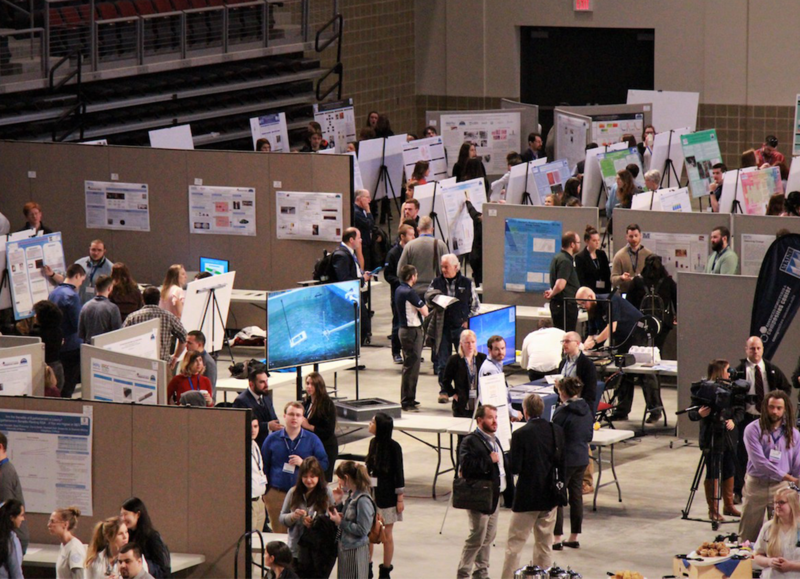 More than 1,000 UMaine students will be showcasing their research and creative achievements as part of the University of Maine’s 2019 Student Symposium, to be held from 9 a.m. to 5 p.m. on Wednesday, April 10th at the Cross Insurance Center in Bangor. Undergraduate and graduate students will present posters, exhibits, performances, and oral presentations related to their scholarly work. The event will also feature a keynote address by Stuart Kestembaum, Maine’s Poet Laureate. The April 10th symposium is free of charge and is open to the public. Organizers encourage interested parties to consider supporting the event’s “Fill the Steins” fundraiser to help sustain the annual event. Donate here.